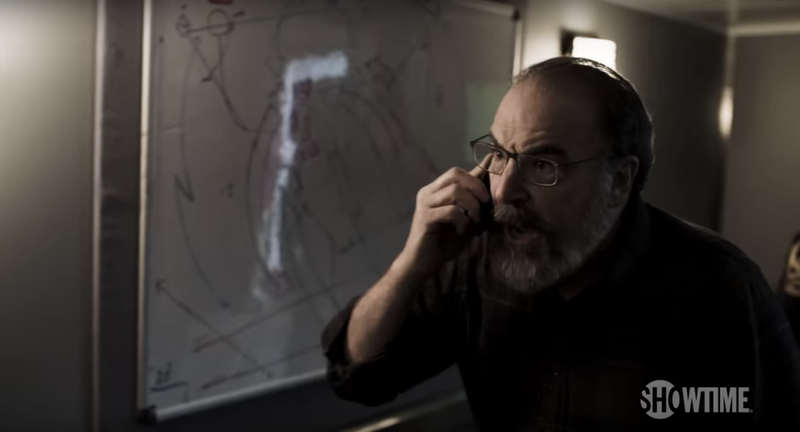 Watching Homeland for the past six years has been a rollicking ride, with dramatic highs (RIP Allison) and ghastly lows (LOL Dana!!!). Keep that in mind as you watch this trailer for the seventh season, which looks like a truly wonderful mess that I will watch happily, with gusto, and with pleasure. For those of you who may have stopped watching Homeland’s sixth season because of Quinn’s excruciating, drawn-out (SPOILER OK BUT REALLY PLEASE DON’T GET MAD ABOUT IT) demise, here’s a brief update on what happened: the President-elect broke a promise to Carrie and arrested 200 members of the intelligence community with no charges; there was an assassination attempt on her life; also, Quinn is DEAD, I’M SORRY TO BE GLEEFUL BUT HE IS!! Caught up? Great! Here’s the trailer, via The Hollywood Reporter. Okay! A lot goin’ on in here! There’s corruption in the White House and Carrie’s going to fix it! Saul’s out of prison and he’s advising... someone in the White House! There’s that alt-right nutso based on Alex Jones! Now he’s in a goddamn militia! And somehow this show will carry on for another season after this one! A miracle. Join me in watching the beginning of the beautiful end on February 11. Where Could Homeland Possibly Go Next?